This is “More Ad Formats and Payment Schemes”, section 8.6 from the book Getting the Most Out of Information Systems: A Manager's Guide (v. 1.0). For details on it (including licensing), click here. Know the different formats and media types that Web ads can be displayed in. Know the different ways ads are sold. Know that games can be an ad channel under the correct conditions. Online ads aren’t just about text ads billed in CPC. Ads running through Google AdSense, through its DoubleClick subsidiary, or on most competitor networks can be displayed in several formats and media types, and can be billed in different ways. The specific ad formats supported depend on the ad network but can include the following: image (or display) adsGraphical advertising (as opposed to text ads). (such as horizontally oriented banners, smaller rectangular buttons, and vertically oriented “skyscraper” ads); rich media adsOnline ads that include animation, audio, or video. (which can include animation or video); and interstitialsAds that run before a user arrives at a Web site’s contents. (ads that run before a user arrives at a Web site’s contents). The industry trade group, the Internet Advertising Bureau (IAB)A nonprofit industry trade group for the interactive advertising industry. The IAB evaluates and recommends interactive advertising standards and practices and also conducts research, education, and legislative lobbying. sets common standards for display ads so that a single creativeThe design and content of the advertisement. (the design and content of the advertisement) can run unmodified across multiple ad networks and Web sites.See Interactive Advertising Bureau Ad Unit Guidelines for details at http://www.iab.net/iab_products_and_industry_services/1421/1443/1452. And there are lots of other ways ads are sold besides cost-per-click. Most graphical display ads are sold according to the number of times the ad appears (the impression). Ad rates are quoted in CPMCost per thousand impressions (the M representing the roman numeral for one thousand)., meaning cost per thousand impressions (the M representing the roman numerical for one thousand). Display ads sold on a CPM basis are often used as part of branding campaigns targeted more at creating awareness than generating click-throughs. Such techniques often work best for promoting products like soft drinks, toothpaste, or movies. Cost-per-action (CPA)A method of charging for adverting whenever a user performs a specified action such as signing up for a service, requesting material, or making a purchase. ads pay whenever a user performs a specified action such as signing up for a service, requesting material, or making a purchase. Affiliate programsA cost-per-action program, where program sponsors (e.g., Amazon.com, iTunes) pay referring Web sites a percentage of revenue earned from the referral. are a form of cost-per-action, where Web sites share a percentage of revenue earned when a user click-throughs and buys something from their Web site. Amazon runs the world’s largest affiliate program, and referring sites earn can earn 4 percent to 15 percent of sales generated from these click-throughs. Purists might not consider affiliate programs as advertising (rather than text or banner ads, Amazon’s affiliates offer links and product descriptions that point back to Amazon’s Web site), but these programs can be important tools in a firm’s promotional arsenal. Some firms sell sponsorship opportunities. The movie 500 Days of Summer sponsored the printer-friendly formatting of New York Times articles. Abbott Laboratories sponsored a special section from HealthCentral.com on the Crohn’s Health Center site. And rather than buying targeted ads, a firm might sometimes opt to become an exclusive advertiser on a site. For example, a firm could buy access to all ads served on a site’s main page; it could secure exclusive access to a region of the page (such as the topmost banner ad); or it may pay to sponsor a particular portion or activity on a Web site (say a parenting forum, or a “click-to-print” button). Such deals can be billed based on a flat rate, CPM, CPC, or any combination of metrics. As consumers spend more time in video games, it’s only natural that these products become ad channels, too. Finding a sensitive mix that introduces ads without eroding the game experience can be a challenge. 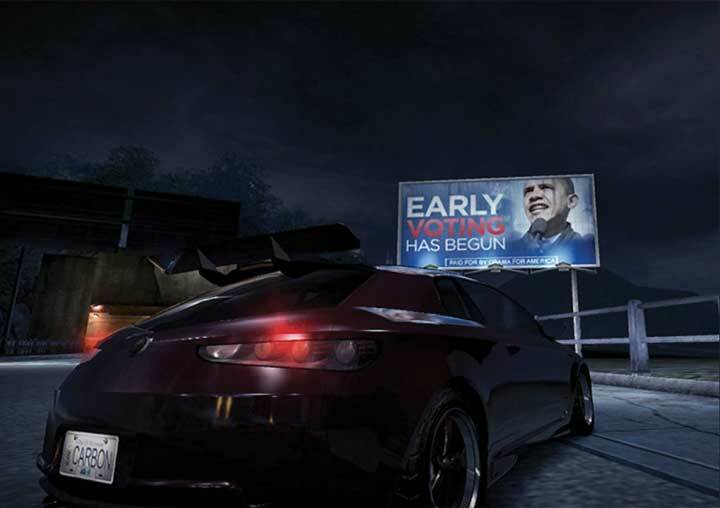 Advertising can work in racing or other sports games (in 2008 the Obama campaign famously ran virtual billboards in EA’s Burnout Paradise), but ads make less sense for games set in the past, future, or on other worlds. Branding ads often work best, since click-throughs are typically not something you want disrupting your gaming experience. Advertisers have also explored sponsorships of Web-based and mobile games. Sponsorships often work best with casual games, such as those offered on Yahoo! Games or EA’s Pogo. Firms have also created online mini games (so-called advergamesWeb-based and mobile games that advertisers develop and offer as a way of building immersive brand engagements.) for longer term, immersive brand engagement (e.g., Mini Cooper’s Slide Parking and Stride Gum’s Chew Challenge). Others have tried a sort of virtual product placement integrated into experiences. A version of The Sims, for example, included virtual replicas of real-world inventory from IKEA and H&M. Source: Barack Obama U.S. Presidential Campaign Team, 2008. In-game ad-serving technology also lacks the widely accepted standards of Web-based ads, so it’s unlikely that ads designed for a Wii sports game could translate into a PS3 first-person shooter. Also, one of the largest in-game ad networks, Massive, is owned by Microsoft. That’s good if you want to run ads on XBox, but Microsoft isn’t exactly a firm that Nintendo or Sony want to play nice with. In-game advertising shows promise, but the medium is considerably more complicated than conventional Web site ads. That complexity lowers relative ROI and will likely continue to constrain growth. Web ad formats include, but are not limited to, the following: image (or display) ads (such as horizontally oriented banners, smaller rectangular buttons, and vertically oriented skyscraper ads), rich media ads (which can include animation or video), and interstitials (ads that run before a user arrives at a Web site’s contents). In addition to cost-per-click, ads can be sold based on the number of times the ad appears (impressions), whenever a user performs a specified action such as signing up for a service, requesting material, or making a purchase (cost-per-action), or on an exclusive basis which may be billed at a flat rate. In-game advertising shows promise, with successful branding campaigns run as part of sports games, through in-game product placement, or via sponsorship of casual games, or in brand-focused advergames. A lack of standards, concerns regarding compatibility with gameplay, and the cost of developing and distributing games are all stifling the growth of in-game ads. What is the IAB and why is it necessary? What are the major ad format categories? What’s an interstitial? What’s a rich media ad? Have you seen these? Do you think they are effective? Why or why not? List four major methods for billing online advertising. Which method is used to bill most graphical advertising? What’s the term used for this method and what does it stand for? How many impressions are recorded if a single user is served the same ad one thousand times? How many if one thousand users are served the same ad once? Imagine the two scenarios below. Decide which type of campaign would be best for each: text-based CPC advertising or image ads paid for on a CPM basis). Explain your reasoning. Netflix is looking to attract new customers by driving traffic to its Web site and increase online subscriptions. Zara has just opened a new clothing store in major retailing area in your town. The company doesn’t offer online sales; rather, the majority of its sales come from stores. Which firm runs the world’s largest affiliate program? Why is this form of advertising particularly advantageous to the firm (think about the ROI for this sort of effort)? Given examples where in-game advertising might work and those where it might be less desirable. List key reasons why in-game advertising has not be as successful as other forms Internet-distributed ads.